Observation - Harlequin ladybird larva - UK and Ireland. 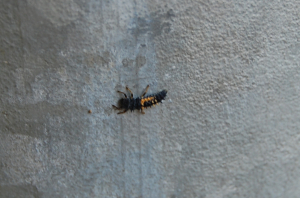 Description: On a lamppost, looks spiky, late instar. On a lamppost, looks spiky, late instar.